The Peugeot 107 is compact and no-nonsense transport for those looking for an inexpensive urban run-around. 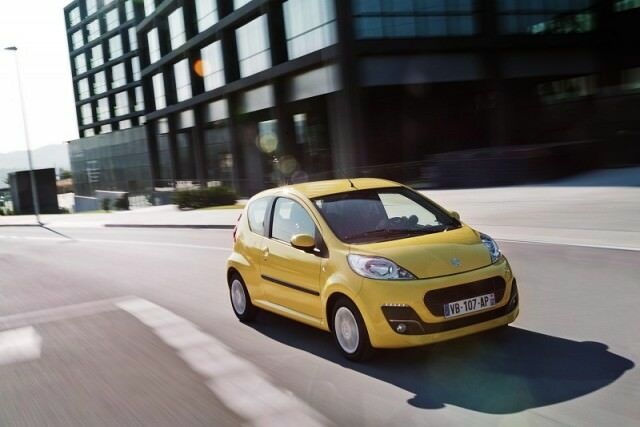 One of a set of triplets, the Peugeot 107 is essentially the same car as Citroen's C1 and Toyota's Aygo. The French pair in that duo are more visually similar, as the Toyota is a bit more distinct - inside and out. It's compact and no-nonsense transport for those looking for an inexpensive urban run-around. The 107 has been on sale since 2005 and was replaced in the latter half of 2014 by the new 108. The simple formula of a small, inexpensive hatchback seems to have been one that's worked for Peugeot (and Citroen and Toyota) even if the Toyota has proved the most popular of the triplets in Ireland. The 107 differs from it very little; indeed they all share the same production facility in the Czech Republic. Power comes from a 1.0-litre three-cylinder petrol engine, the 68hp output of which hasn't actually changed since its 2005 introduction. Economy is good though, even with the automatic gearbox fitted, which is a robotised manual transmission. Economy has improved as the 107 has aged, with the latest cars offering CO2 output under 100g/km, though even the earliest aren't much worse than that and sip fuel. Given it's been in production for a while now it has been the recipient of a few facelifts and technical revisions. The first was in 2009, where it gained revisions to the lights and grille, while a more comprehensive re-style took place in 2012. Offered in three- or five-door forms, all are reasonably equipped so expect central locking and an adjustable steering column for starters. It shouldn't cost much to run, either. There's only really one, that being the 1.0-litre petrol. There's the choice to have that with an automatic gearbox, but it's not the best self-shifter, and rare too, making the five-speed manual 1.0-litre car the pick of the bunch. The 107 is as good as its Citroen and Toyota offerings by virtue of being all but identical. The Peugeot is the rarest of the three on the road, but that counts for nothing behind the wheel, or as an ownership proposition. A sensible, economical small car that might not excite, but does everything you'd want, at an affordable price.